Description: ßUses:ß General, Music Appreciation, Unity¶ßScripture:ß Exodus 35:30-33; Proverbs 22:29; Ephesians 2:10¶From our new °Sacred Horizons° series, this unique composition affirms all of the artistic ministries of the church. This anthem's excellent text is very different in its inclusivity and its use of fresh, contemporary language. Filled with word painting, the music sweeps the listener along with expressive vocal lines and a significant piano accompaniment. 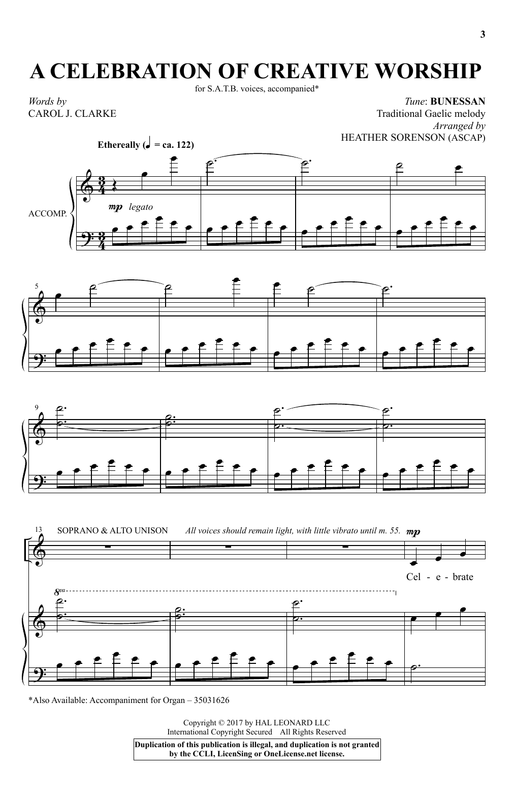 A litany accompanies the octavo for use in special services where there is the dedication of artists in ministry, and a separate organ part is available digitally. Truly one of a kind! 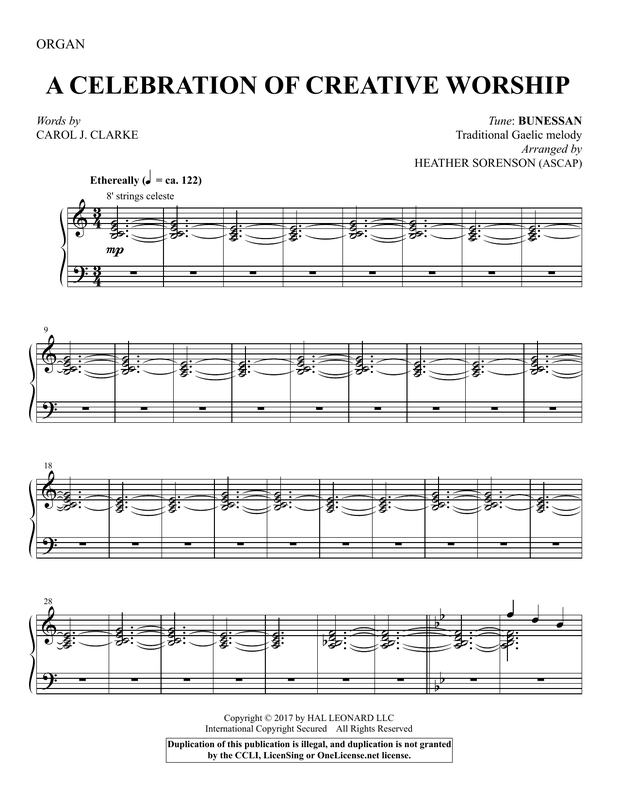 An organ accompaniment is available as a digital download.